The world is in love with streaming. Both music streaming and video streaming are now part of our modern daily lives. A streaming service provider is hosting a ton of audio and videos which you can access through a paid subscription. iTunes store and Amazon instant video are outstanding in the field. If you want to change your video streaming service, but can’t do the decision from iTunes and Amazon instant video, this article will make a simple introduction of iTunes and Amazon Video to help you make a better choice. Amazon Video, developed, owned and operated by Amazon.com, is an Internet video on demand service that is paid for annually. It offers television shows and films for rent or purchase and as part of Amazon's Prime subscription; selected titles can be viewed exclusively to full Prime or Prime Video members, in which video membership allows viewing without full Prime. Customers who pay $99 per year for Amazon's Prime service, which offers free two-day shipping for all purchases, a free Kindle book each month, and unlimited access to both Amazon Music and Amazon Prime Instant Video. Amazon offers 150,000 stream able videos. 40,000 of these videos are available for instant access and unlimited streaming to their prime subscribers. They also sell content and they allow movies and TV shows rentals. Amazon Originals’ Ultra HD content is available under the Prime Video and Prime subscription tiers at no extra cost, for anyone who has a 4K TV with the 4K-supporting Amazon app and an internet connection of at least 15Mbps. Amazon Prime is reasonably priced at $99 per year (which comes out to $8.75 per month). You can also get Amazon Prime on a month-to-month basis, for $10.99 per month, or just get Prime Video for $8.99 per month. In addition, rentals in Amazon range from $2.99 to $5.99, and movie purchases tend to range from $9.99 to $14.99, but you'll occasionally see discounts down to as low as $4.99. Most TV episodes cost the same as they do on iTunes. 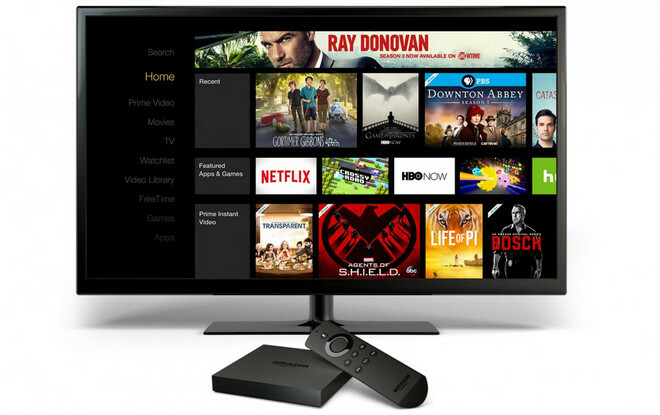 You can instantly stream tons of Amazon movies and TV shows on a Kindle Fire, HDX, Blu-Ray players, PlayStation, Amazon Fire TV, Wii, Xbox 360, iOS, Wii U, Roku, LG, Sony and Samsung Smart TVs, and so on. Unfortunately, there’s no specialized app for android users. You can also download their content for you to view on your mobile device. On October 12, 2005, Apple introduced iTunes 6.0, which added support for purchasing and viewing of video content from the iTunes Music Store. At WWDC 2015, Apple announced Apple Music which can ben opened through iTunes on computer. 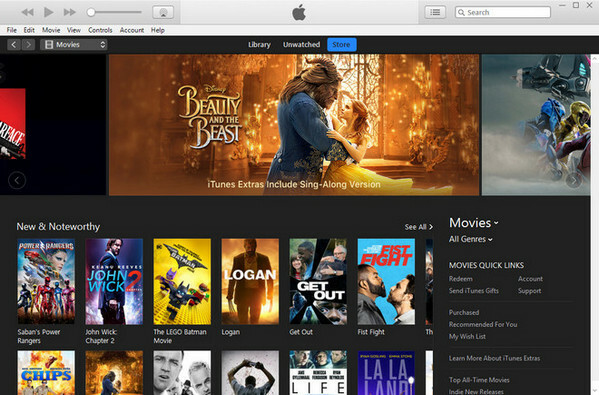 Now Apple's iTunes is one of the most popular platforms to buy movies, TV online, and stream unlimited music. The iTunes Store is integrated into all of Apple's devices and is easy to use. Titles are available in 1080p and 5.1 Dolby Digital surround sound, which has been described as ‘near blu-ray’ quality. Purchases or rentals can be downloaded at any time or streamed on an Apple TV. There are over 85,000 movies you can buy or rent — including blockbusters, indies, and classics. And with more than 300,000 commercial-free TV shows, you’re sure to find a series to keep you hooked. Prices vary. A new movie can cost $4.99 to rent in SD, $5.99 to rent in HD. Prices to buy are $14.99 for the SD film, $19.99 for HD. Older films cost $2.99 to rent in SD, $3.99 in HD. Prices to buy older films are around $9.99 for SD, $14.99 for HD. Television series can be bought as a collection on a series pass and as individual episodes in SD, and more often than not, HD. Standard definition series start at $1.99, while HD episodes start at $2.99. Those prices rise depending on the age of the television show. Prices for series passes depend on how many series are available in the package. And they are also some free TV series to stream. Rented films are available for 30 days from purchase. Once you start watching, you'll have 24 hours to finish. All purchased content remains on your iTunes account and can be streamed online or downloaded for offline viewing, depending on the device you use. Apple allows users to stream their purchased or rentals on many Apple devices with the same Apple ID that they used to buy and rent the video, such as Mac and PC, iPhone, iPod, iPad, and Apple TV. Both of Amazon Video and iTunes are popular streaming video services. But all of iTunes videos are encrypted by DRM which prevents users from enjoying iTunes M4V video on non-apple devices. But sometimes you might find you have only Android devices like Huawei P10, Samsung Galaxy S8, so you are supposed to remove DRM from iTunes video to play them on Android device or something else. 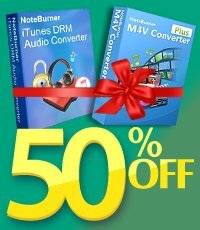 NoteBurner M4V Converter Plus is a professional iTunes DRM Video Removal which can help you remove DRM from iTunes purchased and rented videos easily, and convert them losslessly to unprotected video formats at 20X faster speed, while at the same time keeping AC3 dolby 5.1 surround audio and Closed Captions/subtitles.